If lush green landscapes, sapphire blue waters and scorching sunshine are what you’re seeking, you’ll find what you’re looking for on holidays to Halkidiki. Located in northern Greece, the peninsula of Halkidiki is the ideal place to discover a slice of local life while getting some much needed beach relaxation. Nestled between the beautiful Aegean Sea and majestic rural mountains, the region boasts several different holiday resorts, including bustling Kassandra and tranquil Sithonia, where you are sure to find something to suit. With its laid-back charm and small town feel, there is always something new to be experienced in Halkidiki, be it soft sand beaches or welcoming hotels. Located alongside the Aegean Sea, this Greek peninsula is known for its laid-back pace and charming atmosphere. From the sophistication of Sani with its yacht-filled marina, to the hustle and bustle of Kassandra to a thriving nightlife in Kalithea – you’re sure to find plenty of things to do in Halkidiki. Sail away by boat around its picturesque coastline or simply sit back and enjoy the views as you linger over a cocktail in a nearby bar – you’ll soon feel like a VIP on your Greek getaway. 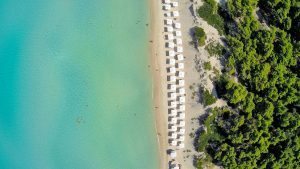 With Greece boasting lengthy hot summers and mild winters, many choose to jet off on holidays to Halkidiki during the sizzling summer months. 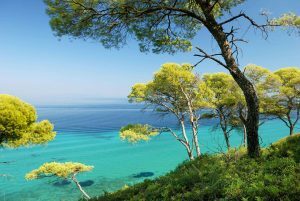 While you’ll certainly find an abundance of sunshine and jam-packed beaches during this time of year, spring and autumn also offer a great time to visit, especially for those looking to explore Halkidiki’s cultural and historical offerings. 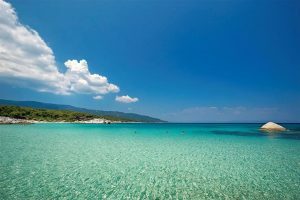 Of course, Halkidiki’s biggest allure lies in the fantastic beaches on offer; try Ammouliani or Torini for idyllic spots that offer a wealth of water sports. Nea Potidea boasts 6km of sand-swept shoreline and clear swimming waters – ideal for relaxing on your Halkidiki holidays. Of all the things to do in Halkidiki, you’ll find it easiest to sit back and relax on its endless stream of sand-swept beaches. Hanioti Beach boasts spectacularly clear waters, ideal for snorkelling or swimming as well as a parade of beach bars ready to refuel you when you’re looking for a break from the sunshine. 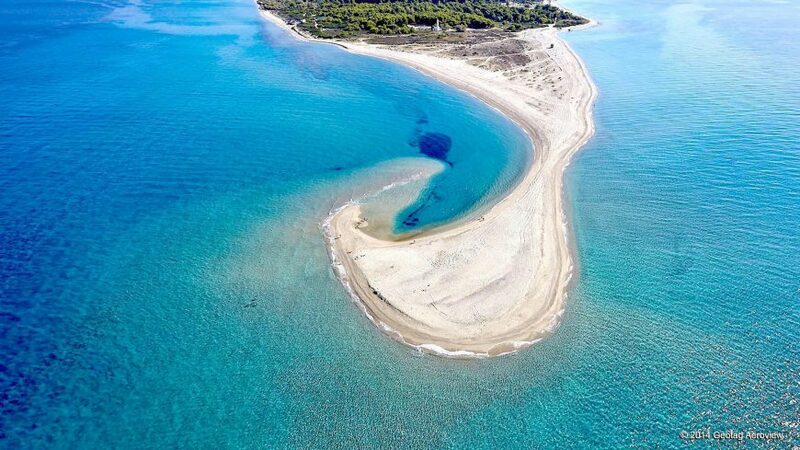 Possidi is rumoured to be one of the most attractive beaches in Greece, a long stretch of white sand adorned with a picturesque lighthouse where you can’t help but feel relaxed.